With boldness, creativity, and foresight, the Schaeffler brothers’ road to entrepreneurial success began in Herzogenaurach in April 1946 and, together with their employees, they laid the foundation for the Schaeffler Group as it is today. How a groundbreaking idea allowed Schaeffler to become a global company. The Schaeffler Group, one of the greatest success stories in German industry after 1945, is celebrating its 70th anniversary. Dr. Wilhelm Schaeffler and his brother Dr.-Ing. E.h. Georg Schaeffler laid the foundation for today’s company when they founded Industrie GmbH in Herzogenaurach in 1946. 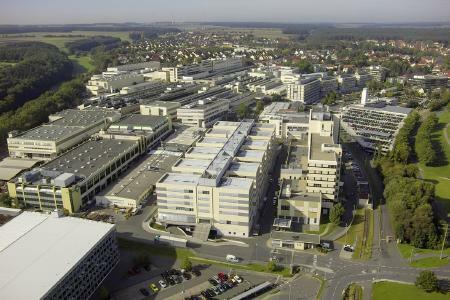 The Schaeffler Group’s headquarters have been located there ever since. The company’s rapid rise began in 1949 with the invention of the INA needle roller cage by Dr. Georg Schaeffler. Schaeffler was soon producing cage-guided needle roller bearings in large quantities, particularly for the German automobile industry. Today, the Schaeffler Group is a globally active, integrated automotive and industrial supplier with around 84,000 employees worldwide. “It is often said that family-owned companies think in the long term, and this is absolutely true of Schaeffler. 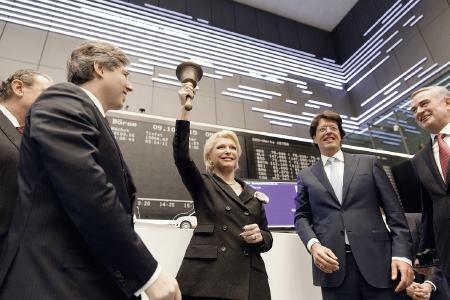 For us, our roots and values are every bit as important as financial success”, said Maria-Elisabeth Schaeffler Thumann. The Schaeffler Group’s history began in the Upper Silesian town of Katscher, where Dr. Wilhelm Schaeffler took over a textile company that later also manufactured metal products. After a period in Schwarzenhammer in the Fichtel Mountains, the Schaeffler brothers’ search for a plot of land with a railway connection for their company led them to relocate to Herzogenaurach in 1946. In return for their promise to create 120 jobs within the space of a year, Herzogenaurach's authorities sold the brothers the plot of land they were looking for. Herzogenaurach was in dire need of these jobs. 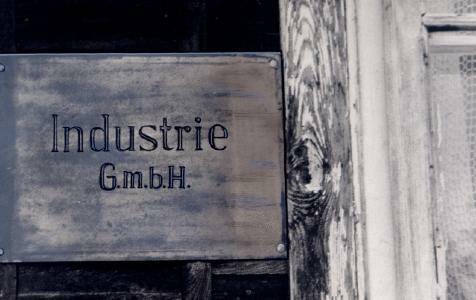 One year on, the newly-founded Industrie GmbH already had 193 employees. 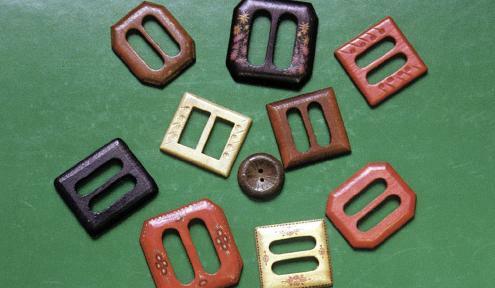 Industrie GmbH initially produced wooden items for day-to-day use, including ladders, children's scooters, belt buckles, and buttons, while convertible hand carts – which also became a best-seller – were manufactured in Schwarzenhammer. Metal products such as thread-cutting dies, universal joint bearings, and needle roller bearings for use as spare parts were soon added. This early period also gave rise to the INA brand – the initials of “Industrie-Nadellager” (“Industrial Needle Roller Bearings”), which Dr. Georg Schaeffler also translated as “Immer Neue Aufgaben” (“Always New Tasks”) when asked about it by his employees years later. In 1949, Dr. Georg Schaeffler developed the INA needle roller cage, in which the rolling elements are guided parallel to the axis. Compared with the existing needle roller bearings of the period, this new type was significantly lighter, more compact, more reliable, and allowed higher speeds. These advantages allowed the INA needle roller bearing to make an industrial breakthrough and, during 1950, the prototype rolling bearing became ready for volume production. The INA needle roller cage was filed for a patent application in September 1950. These needle roller bearings from Herzogenaurach soon became an indispensable component for the vehicle manufacturing, mechanical engineering, and plant construction industries and, by 1953, no new German car was on the road without them. The success of the INA needle roller bearing and its further development meant that production capacity had to be continuously expanded both at home and abroad. The company’s internationalization began in 1951 in the Saarland town of Homburg, which at the time was still part of France’s economic region. The first overseas plant, located in Llanelli, Great Britain, began production in 1957. Two years later, Schaeffler followed its customer Volkswagen to Brazil, where it opened a new plant. The company entered the US market in the mid-1960s by purchasing part-ownership in a company that it then made into its own national company in 1969. Following the fall of the Iron Curtain in 1989, new locations were also opened up in Eastern Europe and Asia. Today, Schaeffler has approximately 170 locations in over 50 countries and a worldwide network that currently comprises 74 manufacturing locations, as well as research and development centers and sales companies. 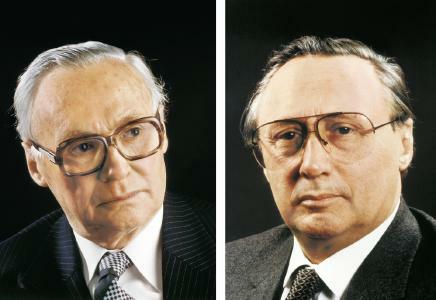 In 1964, the Schaeffler Brothers decided to buy the majority share in Lamellen- und Kupplungsbau August Häussermann and, in 1965, founded LuK Lamellen- und Kupplungsbau GmbH in Bühl, located in Germany’s Baden region. The company became the market's technological leader with its very first innovative product, a diaphragm spring clutch manufactured for VW. LuK, a drive train specialist and one of the world’s largest clutch manufacturers, became part of the Schaeffler Group in 1999 after years of partnership with another company, and today forms the core of the Transmission Systems business division. In 2001, Schaeffler took over FAG Kugelfischer AG & Co. KG in Schweinfurt and significantly expanded its range of rolling bearings. Since then, the Schaeffler Group has been the world's second-largest rolling bearing manufacturer. Five years later, FAG Kugelfischer AG & Co. oHG and INA-Schaeffler KG were merged to form Schaeffler KG. Further companies including Barden, Hydrel, IDAM, and Schaeffler Engineering complete the Schaeffler Group’s lineup. Since the death of Dr. Georg Schaeffler in 1996, his wife Maria-Elisabeth Schaeffler-Thumann and son Georg F.W. Schaeffler have been the company's sole shareholders and have successfully continued to lead the company together with the management. In 2009, the Schaeffler Group acquired the majority stake in Continental AG, of which the Schaeffler AG family holding company is the majority shareholder today. Klaus Rosenfeld has been CEO of Schaeffler AG since 2013. Schaeffler is using its “Mobility for tomorrow” strategy concept to focus on four areas across divisions and regional borders: Environmentally-friendly drives, urban mobility, interurban mobility, and the energy chain. Schaeffler is playing an active part in shaping these focal areas with its own research and development activities and, as a leading expert in the fields of innovation and technology, offers its customers and business partners a comprehensive range of components, modules, and services that is being increasingly expanded to include systems. In October 2015, Schaeffler successfully carried out its initial public offering. Schaeffler has included the topic of digitalization in its long-term growth strategy and, as part of its digital agenda, is developing intelligent products, more efficient processes, and innovative services.